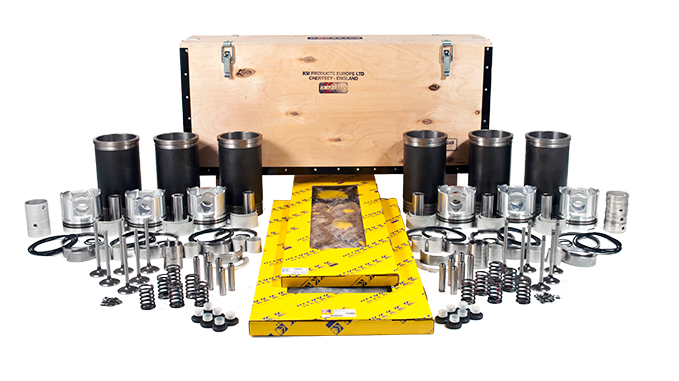 KMP Brand ® is a global company renowned for supplying high quality KMP Brand replacement engine parts suitable for heavy duty Caterpillar®, Komatsu®, Cummins® and Detroit Diesel® engines. KMP is recognised around the world for exceptional quality backed with dedicated service and support. KMP is also now proud to announce that KMP Brand ® has merged with AIP (Agricultural and Industrial Parts), and now sells KMP Brand ® replacement agricultural parts suitable for John Deere®, Case IH®, Perkins & Massey Ferguson® and Ford ® agricultural machines. KMP provides a vast range of KMP Brand ® replacement engine parts suitable for both heavy duty and agricultural engines, including Cylinder Blocks, Cylinder Heads, Pistons, Ring Sets, Pumps, Gaskets and Engine Overhaul Kits. For John Deere ®, Case IH ®, Perkins & Massey Ferguson® and Ford ® agricultural machines, KMP also supplies a variety of high quality, robust KMP Brand ® parts, including clutch parts, brake parts, transmission, rear axles, steering and linkage, seating and lighting parts. With extensive knowledge of heavy duty and agricultural machinery and a commitment to providing only the highest quality, affordable, replacement parts, KMP is one of the leading heavy duty engine part suppliers and agricultural machinery part suppliers in the world.